A graphics challenge community that focuses on themed stock photos. We feature many different types of challenge. Mostly icons will be done here, but also LJ headers, profile headers and FO banners. It's all totally useless but completely fun! Won't you join us? Are you a stock photograph maker? You're more than welcome to submit your work here to be used in future challenges. Submit a link and information here! Before we get to the winners I need to let everyone know that this was the last challenge for this community. I'm sorry this seems so sudden. With my busy summer schedule upon me I'm quickly getting stretched for time. With no help, I can't keep this going on my own. I talked to greeneyedmissy about it and she understands. Unfortunately this will probably result in the closing of this community. I made an effort to keep things going, but with the lack of interest and low entries in challenges and the afore mentioned "doing this on my own" this had to be the community I let go. In a way, I think the end was inevitable. Alright, lets get to those gorgeous winning icons. seleneheart will be your banner maker for this last challenge. If you would like a banner please mention it in your comment. Alright, sorry for the delay in getting voting posted. I was hoping for a few more icons. But we got a nice little batch here and I thank you for entering. Let's get to voting. So far only two people have entered and the challenge end this Wednesday evening. I hope to see more entries. Hi everyone, we're back from our break and ready to start iconing again! Prepare yourselves for the cute. Entries are due Wednesday evening, May 25th at 9:00 PM CST or until I get voting posted. If you are interested in helping out the community by making winners banners please go to this entry. Sorry for the delay in posting voting. I have the winners of our wallpaper challenge now. Thanks so much to everyone who helped out with voting. I'm taking a short break and I will be posting the next challenge next week. This is it and I'm caught up. Hi everyone! I'm catching up on some banner making. This community is for anyone and everyone interested in icon challenge communities of any kind. The commuity is called icontestnews. They will update on new icontest communities, challenges, voting, sign-ups, help wanted, the whole kit-and-kaboodle. 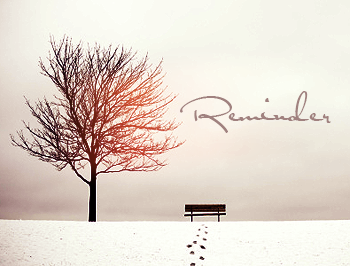 It will be a bi-weekly newsletter, so your in-box won't be filled with a bajillion posts every day. I'm pimping this like crazy because I think it's such a great idea. Alright, well I guess this challenge didn't interest many people or we are going through the April slump. The wallpapers we do have are gorgeous and creative though and I thank those of you who entered. I've made thumbnails for all the wallpapers. They are 500 pixels wide. You can click on the thumbnails to see the original size wallpapers and get a better idea of what they look like. There is an Icon Makers Choice poll under the cut. Please let me know what you would like the next challenge to be. Or you can tell me in a comment. 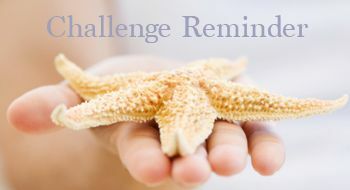 This is the last reminder for Challenge 96 - Summer Time. We could still use a few more entries. I should have done this weeks ago and gotten this organized, but late is better than never I suppose. It's something new I would like to do in this community and I hope that a few of you who have time will help out. I really need help with the winners banners. So I am looking for volunteers. If you would like to help out please leave a comment to this entry and I will add you to the rotation. If you want to help but are unsure what to do I've included guidelines under the cut and if you have questions please don't hesitate to ask. The more people helping out the better. I would like to get at least three more people helping out with banner making. That way we only have to make banners about once every three months. That is not a heavy load at all. I will link to this entry in the sidebar for easy reference. And I will always post a reminder in the Winners Entry as well when it's your turn.